I love potatoes. They are so versatile and are pretty cheap too. I could probably post a new potato recipe every week as I’m always experimenting with them. 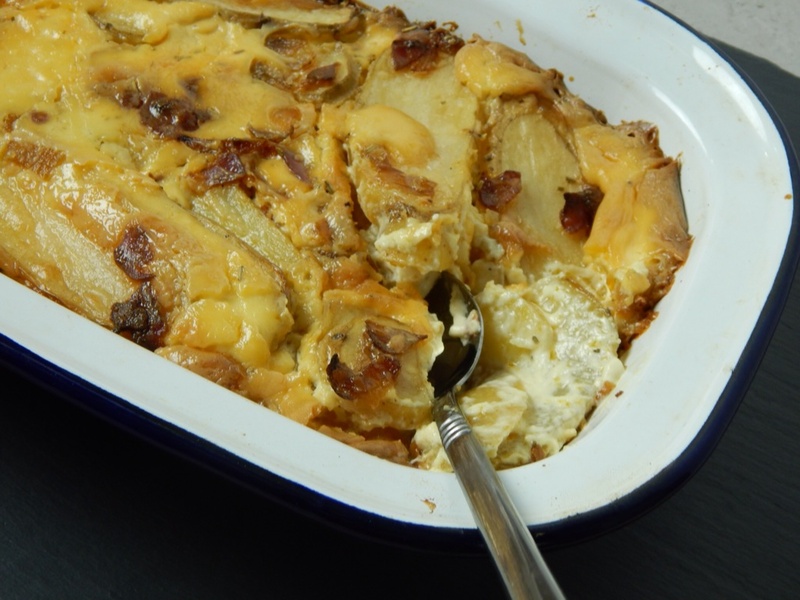 This recipe for a creamy bake is similar to dauphinoise or gratin. The chorizo gives the sauce a bit of colour and an incredible flavour. You can taste the fresh rosemary with every mouthful and well it’s just a little bit indulgent with the double cream too. No New Year detox here I’m afraid. A few sprigs of rosemary, washed and chopped finely. Sauté your shallot,chorizo and garlic in a frying pan until browned. Turn off the heat then add your rosemary and set aside. Layer your potatoes in an ovenproof dish. Now add your cream and milk to the frying pan and stir to combine all ingredients. Pour the mixture over the potatoes, ensuring all are covered. Sprinkle with black pepper and bake for 25-30 minutes or until potatoes are soft and the top is golden brown. 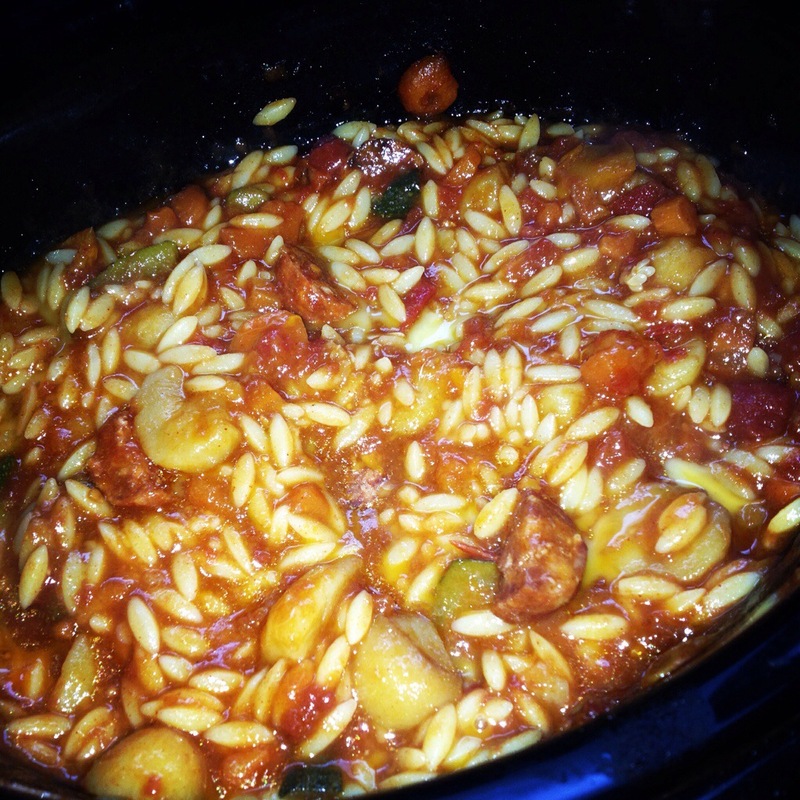 The nights are getting colder and I want to create more warm, inviting dinners but without spending a fortune. 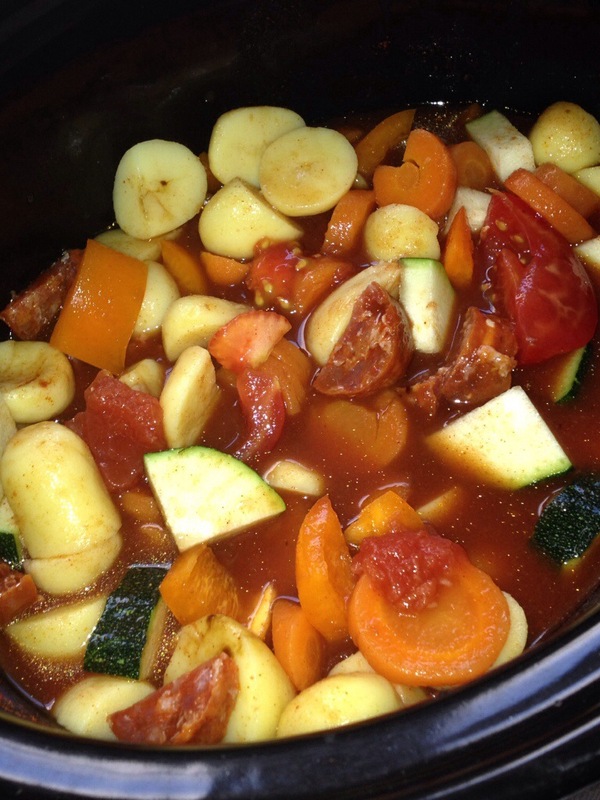 I will try to post recipes as and when I use them to give you some tips for cheap and cheerful meals that all the family can enjoy. 400ml Passata – I typically use the value range from Sainsburys or Asda which is around 30p. Cook gnocchi to packet instructions and set aside. Heat olive oil in a small cazuela or ovenproof pan and sauté garlic and bacon until bacon is golden, add your gnocchi and passata. Stir well adding your herbs and season. 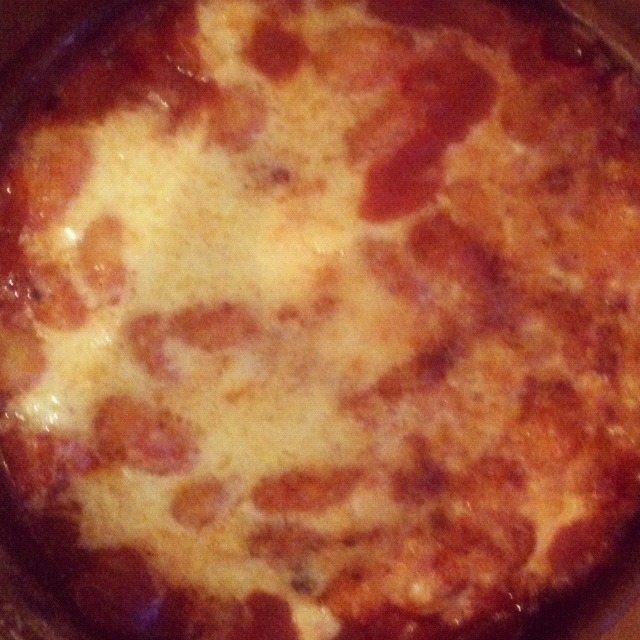 Sprinkle over grated cheese and place in your oven for 15 minutes until golden on top and bubbling. Serve with a large leafy salad. Serves 2 hungry adults with a little leftover. A beautiful tasty meal for around £4. Ok so for the third week of my recipe challenge I was at the absolutely amazing and fantastic Camp Bestival. I was undeterred from my challenge and although my recipe is far from unique and maybe just a slight variant on dishes I have cooked previously I think the fact that I cooked it on an old gas camping stove just outside my tent gains me extra points yes? I lined my pan with foil and sprayed some olive oil 1cal spray on top, I use this when camping as easier and less likely to leak. Cook the chorizo, onions and potatoes until soft and tender, in a small cup beat 3 eggs and pour over the cooked mixture and season. When the egg has almost set sprinkle over some chopped cheese ( I used mature cheddar) and a little more pepper and serve when completely set. Cut into slices and serve with rocket leaves. 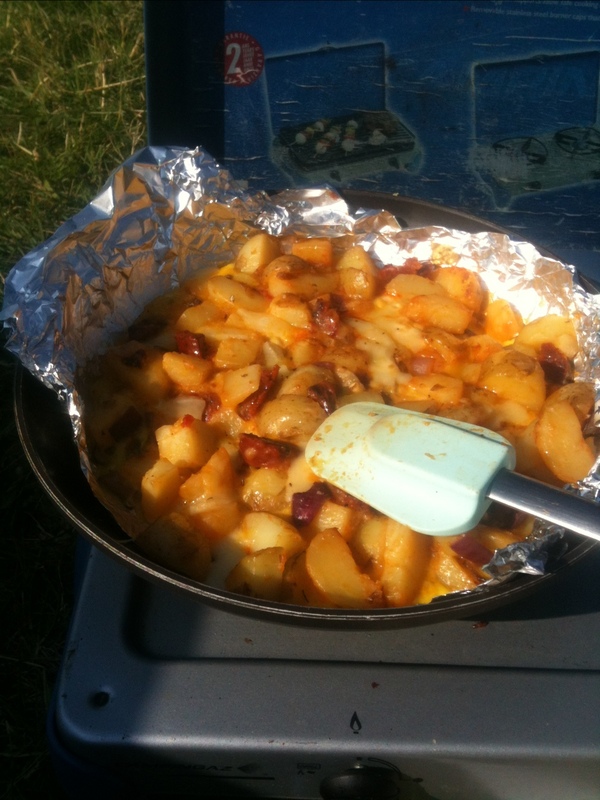 Hope you enjoy and remember camping cooking doesn’t have to be just baked beans and bacon.